APA citation format is a citation style officially ratified by the American Psychological Association. As a rule, the style is used for formatting sources in academic papers written in such disciplines as social sciences, psychology, and education. The first mention of APA style dates back to 1929, when the first guidelines on APA essay format were published in Psychological Bulletin. Gradually, those basic guidelines were developed into a properly laid out APA manual. What lies behind the importance of APA citation format in social science and psychology in particular? When formatting psychology papers in APA style, students and scholars are able to better convey their ideas and arguments in a clear and logically consistent manner. When reading such articles or academic papers, target readers can easier find information about the key findings and outcomes. 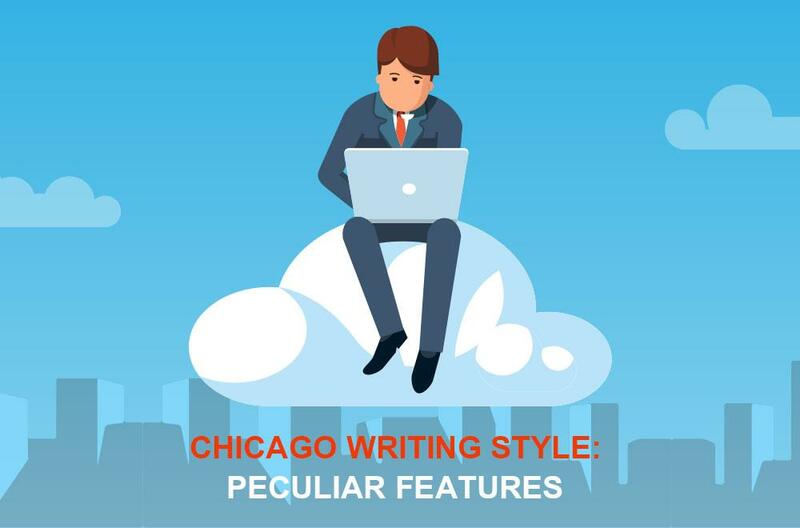 If you have never written papers on psychology, then probably you are not used to writing in APA but are more familiar with such styles as MLA or Chicago style. In such case, it is advisable to carefully study APA style basics if you need to submit a research formatted in this style. Many students are surprised after finding out that they need to get used to APA formatting after years of practice with other styles. Many professors teaching university-level courses require APA format and in many cases, this usual requirement turns into a challenging transition especially when you get different assignments required to be submitted in different styles. 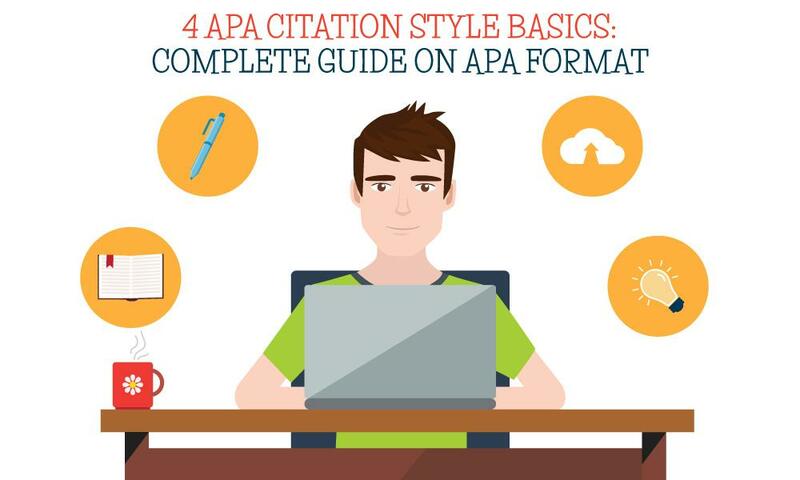 So to avoid it from happening, let's go through four basics of APA citation style you should consider. Margins: 1 inch (=1,27 cm). Author note (if it is required by your educational establishment) with the information about the class name, instructor, and date. As for APA format header, it should be placed flushed-left with APA page numbers flushed right. The title of your APA format cover page should be typed in the center and written in uppercase and lowercase letters. It is recommended that you do not exceed 12 words when you formulate your title. Besides, try to avoid abbreviations that might confuse the reader and do not include any information that serves no informative purpose. All in all, the title may take up one line or two. After you have formulated your title, include the following below: your first name, middle initials, and last name. Do not include degrees (Master, Ph.D.) or titles (Dr.). Afterwards, provide a full name of the institutional affiliation you are studying at as the location of the conducted research is very important. Double-check whether your title page has an indication of the paper title, your full name, name of your educational establishment, and a page number in the upper right-hand corner. Have you formulated the paper title in a clear and understandable way? Is it clear from the title what your paper will be about? Check whether the running head exceeds 50 characters in length. If yes, then make it more succinctly formulated. Have you centered your full name and included institutional affiliation in the center of the page? What is an abstract page? An abstract page provides a brief summation of the main ideas of your paper. Actually, it is a paper overview that is written before the actual discussion of the research. The abstract should be written from a new page after the title page. It should also include the page header. The very first line should be named “Abstract” and it should be centered. Do not underline, italicize or put it in bold or quotation marks. The next line should be devoted to the beginning of the paper overview. The text you provide should be left aligned and the first line shouldn’t be indented. Write only key points of the research. Make sure you provide such information as the research question, type of the study, participants (if any), methodology, main findings and research outcomes, results of data analysis, and the main conclusion. It is also advisable to provide future recommendations and implications of your research. The abstract should be written as a single paragraph and should be double-spaced. Moreover, try to make sure that you provide an abstract within the range of 150-250 words. Keywords: Providing a list of keywords helps other students or researchers find your paper in the library databases. 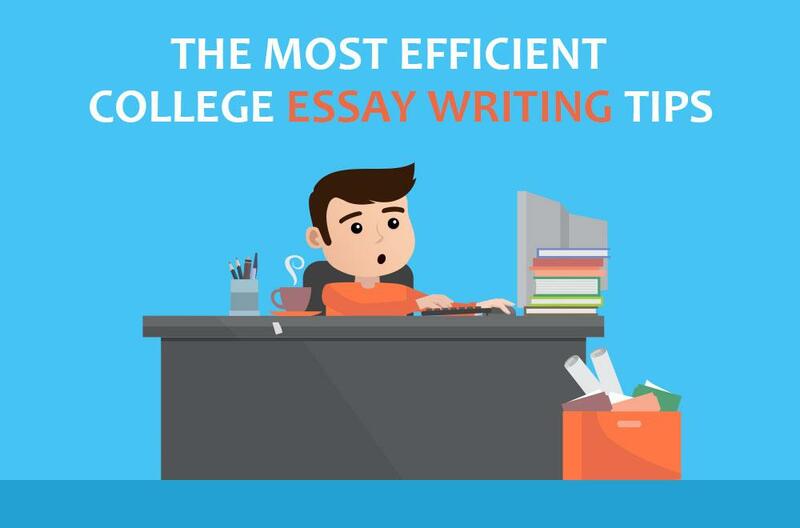 The main body should be organized depending on the type of academic paper you provide (whether it is an essay, a research paper, a dissertation, a coursework, a literature review, etc.). If your paper assignment requires you to break the main body into sections and subsections, then you should adhere to the principles of the APA style headings. How to make a reference page? When you provide a reference page, you write down the list of all sources that you used (cited or quoted) in your paper. Each source that you have referred to in your main body of research should be properly formatted according to APA guidelines. Below you will find the useful information about how to cite different components of APA references. Author, A. A. (Year of publication). Title of the book. City, State: Publisher. Rowling, J.K. (2000). Harry Potter and the chamber of secrets. London: Scholastic Paperbacks. Author, A. A. (Year of publication). Title of the book. Retrieved from [URL]. Make sure to add digital object identifier (DOI) if it is provided. Usually, it is placed in place of the website address. Important: if you use an electronic reader, you should provide URL where you have retrieved that book. A reference page is created to provide a list of all sources that you have used throughout the paper. You begin providing a list of references starting from a new page. The sources should be placed in alphabetical order. A reference page should be started on a new page at the end of the main body of the paper. The page is numbered according to the formatting rules of APA style. Just add a page break after your last line (click Ctrl + Enter) of the main body and you will be automatically directed to the new page to start your list of references. Type the word “References” centered on the page. Do not out the word in quotation marks and do not underline, italicize or put the word in bold. Spacing is consistent with the rest of the printed text (as a rule, it is double-spaced). The sources should appear in alphabetical order (by author(s)’s last names). The first line of the citation entry is never indented, but those going below are indented 1 inch (a hanging indent). Hopefully, these guidelines will help you organize the reference page in a proper style. Make sure you include all the important information about each source. Lewis, C. W., & Goldman, S. C.
Titles are formatted either in italics or are written as plain text depending on the type of source you are citing (a book or a periodical). If you are referencing a journal article, then you should indicate the volume and issue of the scholarly journal you took the article from. Numbers of volumes are italicized and issue numbers are typed in plain text and are put in parentheses: 54(6). It means that the journal volume is 54 and the issue number is 6. The name of the publisher goes right after the place of publication. If you cite a journal article, you need to provide a doi instead of the URL. Do not end a period at the end of the URL line. If your computer automatically transforms the URL address into a hyperlink, make sure to remove this hyperlink formatting. Below you will find a list of the most common mistakes that students make when formatting papers in APA. When students cite the work in text, which is written by more than one author, they often use the word “and” instead of an ampersand (&). It looks like a minor flaw, but still, it can make a professor go wild. Incorrect: (Johnson and Smith, 2015). Correct: (Johnson & Smith, 2015). 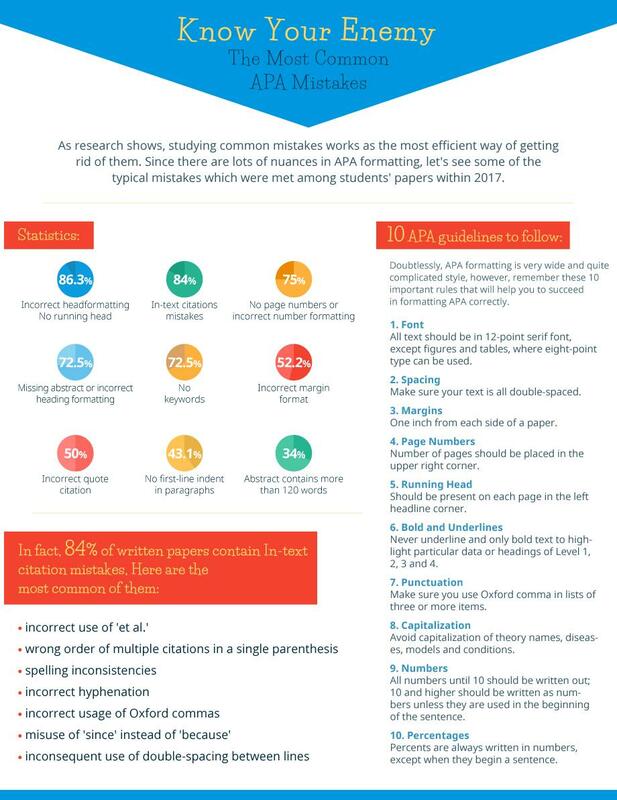 At times, students need to provide multiple citations for one statement. When there is a need to cite multiple sources in a row, it is important to follow specific requirements. In particular, the works should be listed in alphabetical order according to the last name of the author. All cited sources should be placed within the same parentheses. Each citation indicated should be separated from others with a semicolon. Incorrect: (Smith, 2013; Lucky, 2016; Mason, 2013). Correct: (Lucky, 2016; Mason, 2013; Smith, 2013). When you write a piece of academic writing in APA style, putting page numbers is obligatory. To make sure you do not forget about it, it is highly recommended to start writing your paper with putting page numbers. Remember what is a running header? Put the page numbers there. The page numbers should be put on each page and should be aligned to the right. The page number should be put on every single page of the order. The font type and size should be consistent with that of the rest of the text (Times New Roman, 12 pt.). If the percentage is written as a numeral, use the symbol of a percent after it: 15%. According to the guidelines of APA, numbers after nine are written as numerals. If the percentage is written as a word, then do not use the symbol % but write “percent.” For example, twenty-five percent. Use the word “percent” when at the beginning of the sentence, text or heading. According to the general APA guidelines, you cannot begin a new paragraph or sentence with a numerical (even if it is less than nine). When you provide tables, diagrams or other figures, use the symbol %. This is done in order to save space. If there is no exact number indicated, then use the word “percentage.” For instance, The percentage of unemployment level was identified among the local population. P.S. How to Select a Good Title for APA Format? Your title is specific and makes it clear what you intend to discuss or analyze in the paper. The title should be as brief and concise as possible. Do not make the title too long or wordy because it will confuse the reader from the very beginning. Avoid words in the title that serve no informative purpose or that do not directly relate to the main focus of the paper. Writing your first academic paper in APA style can be a bit challenging at first, but with practice, you will master it quite fast. In any case, the best advice on how to succeed in formatting a paper in any style is to carefully follow professor’s guidelines.